Chacuti de Galinha, or Xacuti Chicken, is a curry chicken dish in Goan cuisine. It is one of the most popular goan dishes for good reason. This is an intensely flavorful dish combining chicken that is cooked with a medley of signature Goan spices called Xacuti. It typically uses poppy seeds, grated coconut, and red chilies. 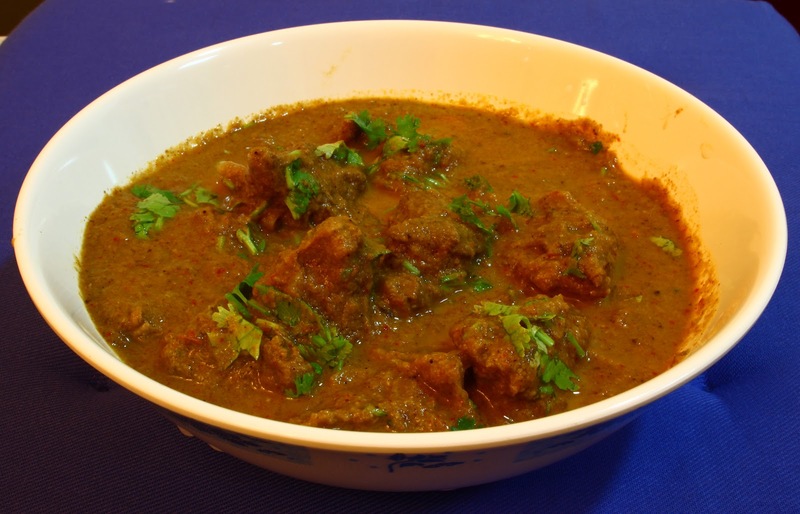 It is usually prepared with chicken or lamb and typically served with rice or potatoes as an accompaniment. It is also known as chacuti in Portuguese. 1) Heat one tablespoon of olive oil in a deep frying pan and lightly brown the shredded coconut and chopped garlic cloves. Once they are slightly browned add them to a bowl. 2) Now dry roast the red chillies, cumin seeds, coriander seeds, black peppercorns, fennel seeds, carom seeds, poppy seeds, cloves, cinnamon and star anise in the frying pan until they are fragrant. Add them to the coconut and garlic in the bowl. 3) Add the turmeric powder to the pan and a little water and grind it to a smooth paste. Heat the remaining olive oil in the frying pan and sauté the onions until well browned. 4) Add the chicken and cook on high heat for two to three minutes. Add the salt to taste and mix. 5) Add the spice paste and stir well. 6) Add two cups of water and stir. Add the tamarind pulp and nutmeg and mix it in well. 7) When the mixture comes to a boil, reduce the heat, cover and let it simmer for about thirty minutes or until the chicken is done. 8) Boil the cup of rice as the chicken cooks. 8) Once the chicken is done, pour it into a platter and cover with the chopped cilantro. Serve while hot with the boiled rice. This dish was inspired by our friends over at www.sanjeevkapoor.com, so check them out as well!